At the end of April Kaiser’s Subsidy Calculator estimated that individual health insurance would cost $8,137. 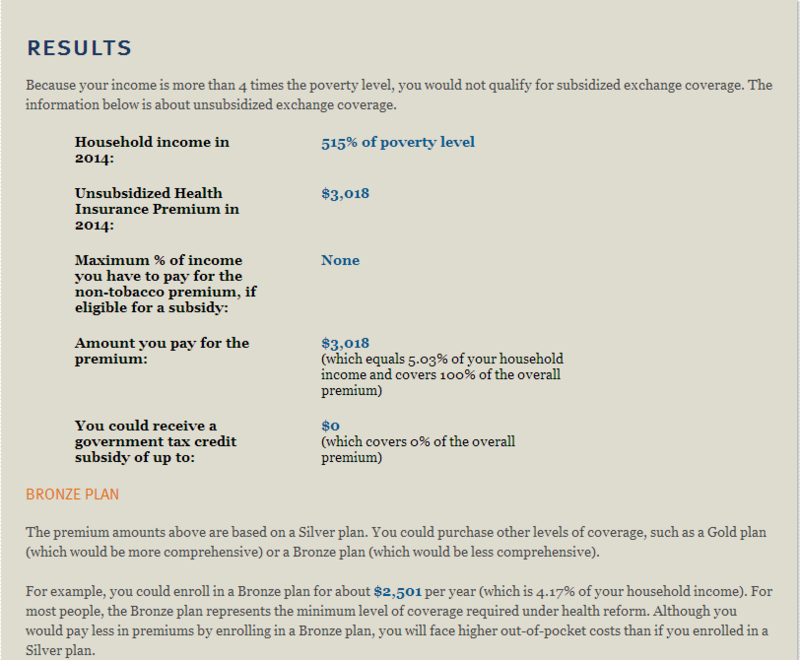 I ran the calculator today on a single adult earning $60,000 and the premium for a “silver” plan is estimated at $3,018. Now if use the $205 per month amount quoted in cost in Avrik Roy’s Rate Shock article for a “bronze” plan, it is $2,460 in California. Are health insurance rates that much harder to calculate than temperatures from tree rings?